Some companies dip their toes in to new technologies and endeavors, while others cannonball straight in the deep end. For 3D Systems, entrenched as it is since the very beginnings of 3D printing development, there is no choice but to go all in — and under the focused and aggressive leadership of CEO Vyomesh Joshi (VJ), the company continues to charge forward to not only go all in, but work to be an all-in-one solutions provider. During last week’s SOLIDWORKS World 2018 in Los Angeles, 3D Systems introduced 3DXpert for SOLIDWORKS. “We are looking to have management of the whole process, seamlessly, the movement from physical to digital. Those interfaces are where design happens. We want to really create experiences,” VJ said during the SWW press conference introducing the partnership. Partnering with SOLIDWORKS and its parent company Dassault Systèmes brings 3D Systems’ well-known software to the fingertips of a broader audience of designers as the companies work to enhance adoption of 3D printing and further advances in design for additive manufacturing (DfAM). During the press conference, SOLIDWORKS CEO Gian Paolo Bassi noted that while there had been many partnerships announced over the week, he wanted to be sure to help attendees understand what makes this one unique. “The first thing is to change the mindset. With custom tools, lightweight parts, part consolidation, surface textures — we are giving designers more geometric structures to create. You don’t have to be an expert to work with 3DXpert,” he said. There’s a lot behind this partnership, and sitting down for a conversation with VJ and Sterenthal offered an opportunity to not only unpack this announcement, but gain a deeper understanding of 3D Systems’ strategic approach. 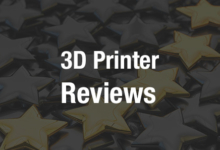 Sterenthal noted that he and his team worked to develop 3DXpert as an all-in-one solution for metal additive manufacturing. I’ve had the opportunity to see the software in action before, and experience how the tools it allows for in design provide a strong basis for designers. The 3DXpert for SOLIDWORKS add-on was created as a standard package that every SOLIDWORKS subscriber can download, he explained. However, when a user wants to go beyond that standard offering to more advanced capabilities, upgrades are available for the fuller experience. All capabilities are available for experimentation and evaluation through SOLIDWORKS, but to actually export a project or use it for manufacturing, the add-ons must be bought from 3D Systems. At this point in our conversation, VJ pointed to a slide he had used in earlier presentations showing the proccess taking the customer through the design process to the 3D printer. Currently, there are a lot of steps between customer and finished 3D print job, which is holding up understanding and adoption. The primary driver behind integration with SOLIDWORKS is to ease the way for a seamless SOLIDWORKS customer experience, VJ underscored. “We are taking all that to make a seamless experience for customers. There are more than half a million customers here, and we want to be a part of that. This is the power of the partnership,” VJ told me. It was an important driver for the partnership from VJ’s point of view that SOLIDWORKS’ Bassi and Dassault Systèmes CEO Bernard Charlès shared this customer-centric vision. He noted that in speaking and working with Bassi and Charlès, he was further reassured of this partnership being powerful. Do we have a common vision? Having passed these tests with flying colors, the work with SOLIDWORKS brings value to each of the partners and brings a solution to a wider audience of designers. The next step forward will be real-world adoption; 3DXpert for SOLIDWORKS is available now, and the team from 3D Systems are looking forward to seeing penetration amongst the SOLIDWORKS customer base as a clear understanding of benefits begins to take hold. “We want this to be the software of choice for the SOLIDWORKS customer,” Sterenthal told me. As adoption picks up and users work more with 3DXpert for SOLIDWORKS, the 3D Systems team are hoping to see a progression. The second objective, VJ said, is that users will soon learn enough about capabilities that they will want to use the advanced features. “We want to crawl, then walk, then run,” VJ explained of his hopes for penetration in SOLIDWORKS. The long-term vision, in which 3D Systems’ offering takes off at a run, is important for the team — as is not getting there in a rush. Working organically and growing through use is important as all of the technologies at play here — metal 3D printing, DfAM, this partnership — are at early days. “It’s the beginning of additive manufacturing; there’s so much more room to grow,” Sterenthal noted. Ultimately, VJ said that they are looking to a similar long-term vision for all their assets, bringing the slide back into the conversation. They are “creating an entire ecosystem” designed to streamline the customer experience. In the coming months, we can expect to hear more from 3D Systems as they continue to work with Dassault Systèmes and share core values — including an emphasis on education. This is “an interest in common for both companies,” VJ told me, and noted that we should be paying attention to 3D Systems’ presence at the upcoming Lab Day in Chicago. 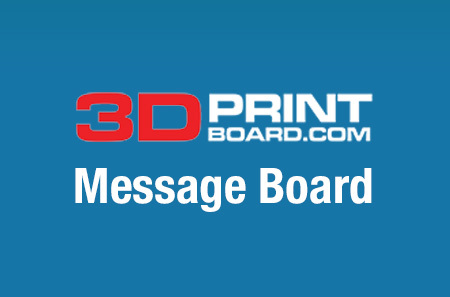 Discuss software, partnerships, integration, and other 3D printing topics at 3DPrintBoard.com or share your thoughts below.